the auto parts store didn't have anything. any ideas? Last edited by dirtyjeepgirl75; 10-16-2008 at 18:04. 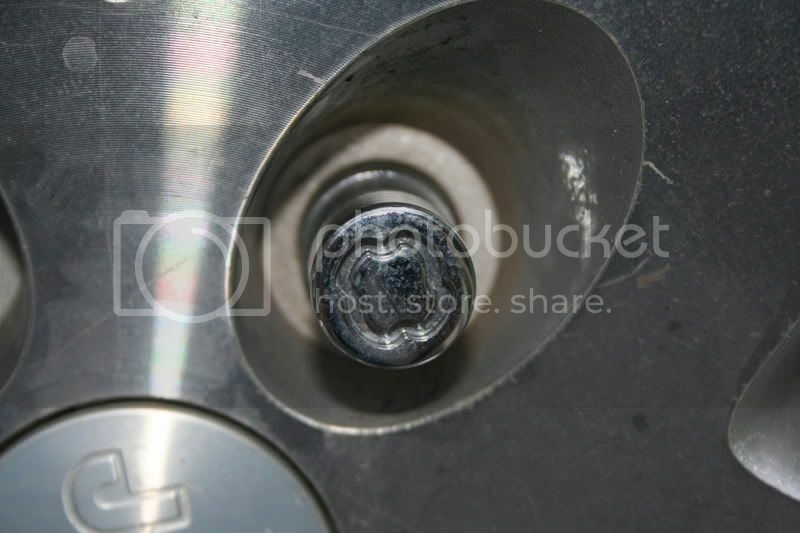 Most wheel tire places carry a tool to remove locking nuts if you've lost the key. You can buy the tool yourself, but would probably be cheaper and easier to just take it to a good year or something like that. Thank you! I'll probably take it to Goodyear tomorrow then! I checked and mine has 5, but a different pattern. You can also try a stripped bolt remover. I picked up a set when I had a wheel lock strip about 6 months ago. I believe Erwin is the brand name and I grabbed the set from Auto Zone...fairly cheap if I remember correctly. Damien and I run into this at our shop. People lose the keys and/or don't know they have locklugs. What you can do is this: Get an old socket that you don't really care about and roughly fits the lock lug. Pound the socket onto the locklug as far as you can. 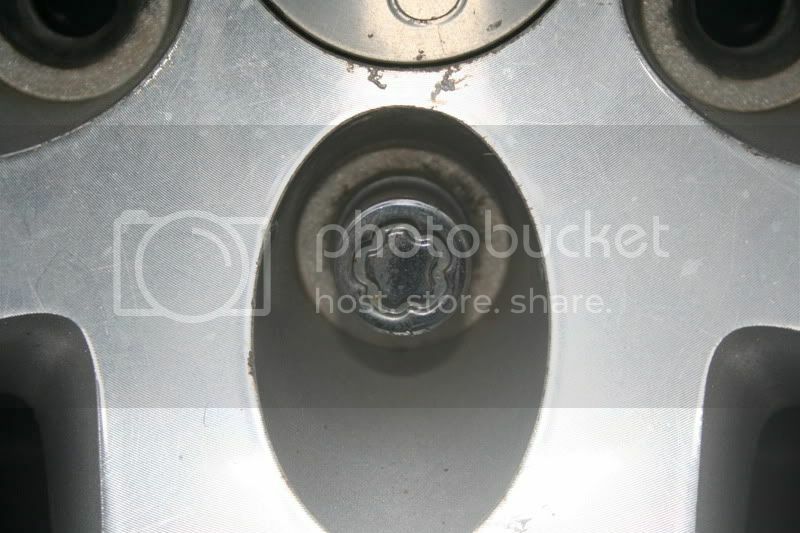 Then remove the socket with a ratchet. We've had good luck removing all kinds of locklugs like that. Sometimes you end up trashing the socket, that's why I suggested using one you don't really care about. That's how we did it when I was still running an auto center. I found that a 12 point works best, more teeth to grab the wheel lock. I've used large vise grips twice with sucess. Good luck! Cutting wheel + Hammer + Chisel in extreme cases. Personally I like staying up real late....I'm talking 2:00-3:00am and only THEN realizing you have a flat and that you need to get the spare off to make it to PT at 06:00. You don't have the right key so you try vice grips, sockets, a screwdriver and tapping it counter clockwise, cursing, the middle finger, and eventually a big screwdriver and a equally big HAMMER and just begin whacking at the tire, the rim, and really just about everything back there until you hit it just right and break the stud off. Didn't happen to me of course, to some one I know.....who lives far away......yeah.